Next to Normal was groundbreaking when it opened on Broadway in April 2009, for it’s heartfelt, humorous, and thoughtful manner of addressing grief and bipolar disorder. It not only addressed the effects mental disorders have on the protagonist Diana Goodman but also the ways in which they influence her family. Lucky for audiences in Connecticut, Next to Normal is currently playing at TheaterWorks through May 7 and TodayTix has exclusive $25 Lottery tickets every Saturday night. Here are some reasons we can’t get enough of this trailblazing musical. 1. It won the 2010 Pulitzer Prize for Drama. It is an honor for any new work to win the Pulitzer Prize. Yet the prestigious award was made even sweeter for the groundbreaking show Next to Normal, as it quite rare for a musical to receive the prize. Before Next to Normal‘s win in 2010, the last musical to have been honored was Rent in 1996. The next time a musical would receive the Pulitzer Prize for Drama would be 6 years later when a little show called Hamilton came around. 2. Alice Ripley’s epic Tony Award speech. When Alice Ripley won the 2009 Tony Award for her heartbreaking portrayal of Diana Goodman, she gave one of the most memorable speeches in history. (Words won’t do it justice, so watch it for yourself above.) Next to Normal was nominated for 11 Tony Awards and won three, the other two for Best Original Score and Best Orchestrations. 3. The Broadway Backstory episode. The Season One finale of the podcast Broadway Backstory gave listeners some incredible insight on the origins of the beloved show. Through conversations with the show’s writers, producers, director and stars, listeners found out how Next To Normal developed from a college project, to a 10-minute musical, to a NYMF favorite, and then found its footing off-Broadway and out of town before becoming the beloved Pulitzer Prize-winning hit. 4. It is an international hit. 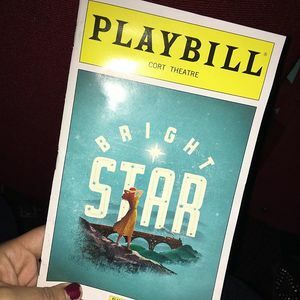 In addition to the acclaimed Broadway production, the First National Tour, and the number of regional premieres in theaters across the United States, Next to Normal has also had prominent productions in over 20 countries around the world. 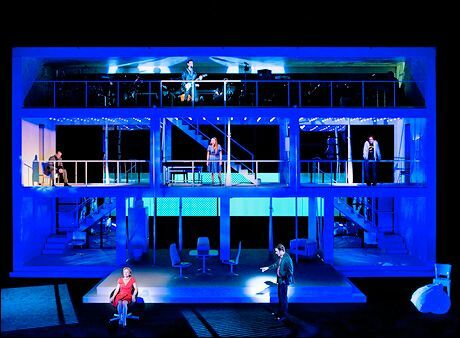 The first major international production of the musical was in Oslo, Norway in September of 2010 and the most recent international Next to Normal was in Portugal just last year. 5. The $25 lottery for the current production at TheaterWorks. You won’t want to miss the incredible cast (featuring Tony Award Nominee Christiane Noll as Diana) in this outstanding production of Next to Normal at TheaterWorks in Hartford. Be sure to enter the TodayTix lottery for your chance to win up to two $25 tickets to a Saturday evening performance of the show. You can download the app and enter any time during the week prior, starting at 12:00am each Sunday. What are some reasons you love Next to Normal? Tweet us your answers @TodayTix.